On a cold and misty afternoon, I briskly walked through Mifflin Square park and admired the Buddhist temple in the distance and marveled at the diversity that makes up South Philly. 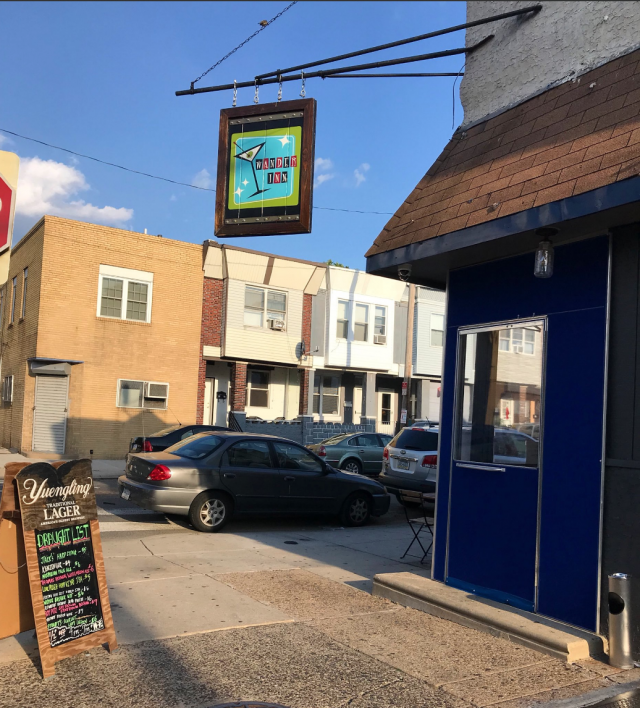 The fabric of our neighborhoods is woven together by families and individuals who are both new to the city and who have called Philadelphia home for generations. Whitman embodies that spirit and has a sense of charm that is notable even on the dreariest of days. As I approached my destination, I passed under twinkle lights strung over Ritner Street and homes with roomy front porches on my way to a new place that brings back an old name. Long time South Philadelphians will remember the former Wander Inn at 18th and Federal – the current site of the American Sardine Bar. That Wander Inn dates back to prohibition and was a bastion of jazz in its heyday, hosting legendary performers like Bessie Smith. Some say that the Wander Inn was one of the first successfully integrated bars in Philadelphia. It closed its doors in the early aughts. 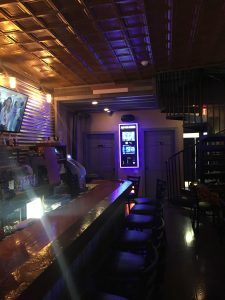 Jon Klein, the owner of The Dive Bar and Watkins Drinkery, wanted to pay homage to the original Wander Inn with his latest establishment that opened in May 2018. The ‘new’ Wander Inn, located at 3rd and Porter, is quickly becoming a popular gathering spot in Whitman. During our conversation, Klein shared his passion for creating a cozy neighborhood bar that has something for everyone. 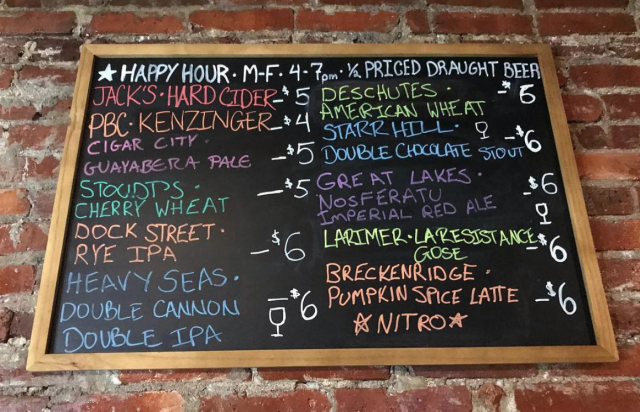 The approachable drink menu provides a range of options for patrons, from craft beer to Coors Light, draft prosecco to mulled wine, creative cocktails to the citywide special. Klein mixes old school with new in an effort to make all his customers feel welcome and grow repeat business. The extensive beer list includes nine rotating draughts in addition to 30 types of canned beer. 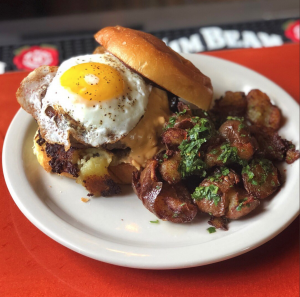 To compliment its drinks, Wander Inn puts out traditional bar food with fresh ingredients including crowd pleasers such as nachos, wings, baked mac & cheese, and meatloaf and pulled pork sandwiches. 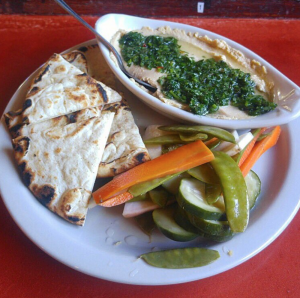 The menu also includes vegan, vegetarian, and gluten free options such as the hummus made in-house and mushroom cannelloni. Everything is made proudly from scratch with the exception of the bread and cheese. Klein orders his bread from local bakery Wildflour in the Northeast and supports countless small businesses. 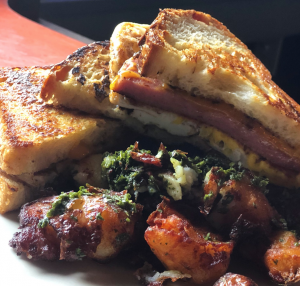 On the weekends, the Wander Inn serves up hearty brunch dishes including bananas foster french toast, huevos rancheros, and scrapple hash (and yes, even avocado toast). First floor. Photo Catherine Murray. Upon walking in from the cold, I instantly felt comfortable and wanted to stay awhile. We plopped down at the bar and partook of the Happy Hour Specials of half off draught beers and $5 wines and draught cocktails. The bar has two fairly massive TVs, making it an ideal venue for game watching. During the next Flyers game, order a Gritty Cocktail – made with orange juice, campari, and local Faber gin – which is the color of the beloved monster himself. City Wide special is a can of Lion’s Head from Wilkes-Barre and a shot of locally distilled Kinsey Rye for $7. If the hours go by and your phone is low on juice, plug in at one of the charging stations under the bar. The second floor boasts additional seating and a pool table — and is available for rentals. Klein noted that they hosted a 30th birthday party, a 60th birthday party, and a baby shower within the past few weeks – an indication that the Wander Inn is capturing a multi-generational customer base. If we can trust Punxsutawney Phil, the weather should warm up in a few weeks. (Though personally, I’ve always found the groundhog most unreliable.) When we do emerge from the chill of winter, Wander Inn will have outdoor seating along both 3rd and Porter Streets. Until then, enjoy this cozy enclave in Whitman with your friends and neighbors.